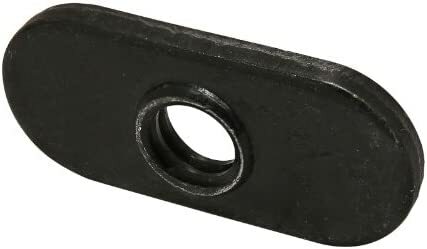 I’ve found that 1/4"-20 hardware (Imperial) and M6 (metric) fits well, albeit a little loose — anyone know the nomenclature for the appropriate size(s) of T-nuts? 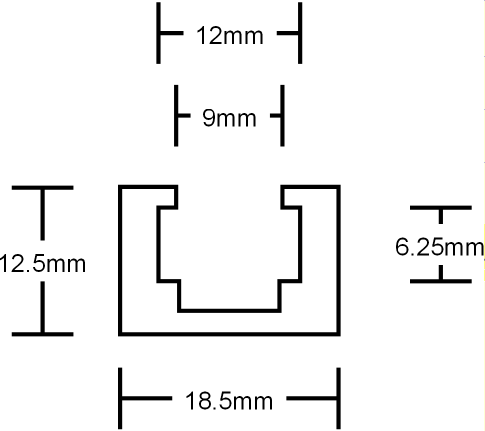 (I’m guessing it’s different for Imperial and metric) — are there clamp kits which fit especially well? Cursor down to “Nuts” for info. Go far down on page where T-Track lengths are displayed and then click on the “DETAILS” button to get the same type of info as you drew out in your post. I did a lot of searching about 1 yr ago and this was the cheapest place to buy T-Track around the U.S. As always “Buyer Beware” and be AWARE of what sizes of T-Track you’re requesting info on.